Niko Kovac was satisfied with Bayern Munich's performance against Bundesliga leaders Borussia Dortmund despite twice surrendering the lead to lose a thrilling Klassiker 3-2. Robert Lewandowski twice gave Bayern the lead against his old club, but captain Marco Reus hit back on both occasions for Dortmund at Signal Iduna Park on Saturday. Paco Alcacer came off the bench to score a dramatic winner for Lucien Favre's men, racing on to Axel Witsel's pass to beat Manuel Neuer with a brilliant dinked finish. Dortmund moved seven points clear of champions Bayern, whose six-game unbeaten run ended at the hands of their most likely rivals for the Bundesliga title. 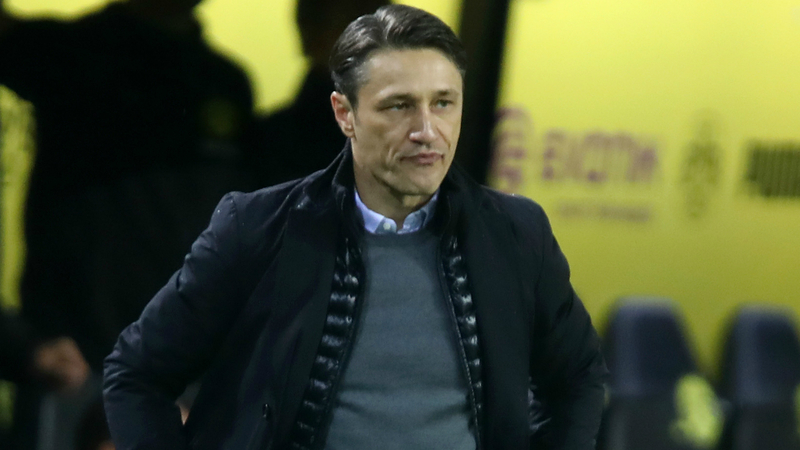 But despite Bayern twice losing the lead and conceding numerous other clear chances for Dortmund to score, Kovac refused to criticise his team's display too much. "We saw a fantastic football match from both sides today. It was an open game," Kovac said in quotes reported on the Bayern website. "In the first half we had the game in hand, in the second half Dortmund [did]. Favre hailed Dortmund's comeback but accepted his side were fortunate at times, with Bayern having been on top throughout the first half, while Lewandowski saw a stoppage-time equaliser rightly ruled out for offside.